Colombia offers excellent biking opportunities for both beginners and seasoned riders. The steep mountain paved roads are terrific for road bikers and have bred world-class racers. For mountain bikers, there is endless scope for easy country trails and gut-wrenching mountain single tracks. This guide will help you get around Colombia on two wheels. Biking is a popular way to get around Bogotá for locals and tourists. Many Colombians are passionate about cycling so wherever you go you’ll find like-minded bikers and bike shops. This passion for bikes is on display on Sundays in big cities such as Bogotá and Medellín, where tens of thousands of bike riders come together for ciclovias (biking on city streets closed to vehicle traffic). Road biking is more popular than mountain biking but you can easily find spare parts for any type of bike. If you don’t have your own ride, rentals are possible in most cities. Colombia has a long history of road biking and many riders have found success in the Tour de France, including Nairo Quintana, winner of the Tour in 2013. When out on the road, you may be joined by some of the locals in their lycra racing jerseys. Tour operators run mountain bike trips in a number of areas, including San Gil, Minca, Villa de Leyva and Medellín. Quality varies, but the more reputable companies have very good condition bikes. Trips often include lunch and visits to nearby places of interest. 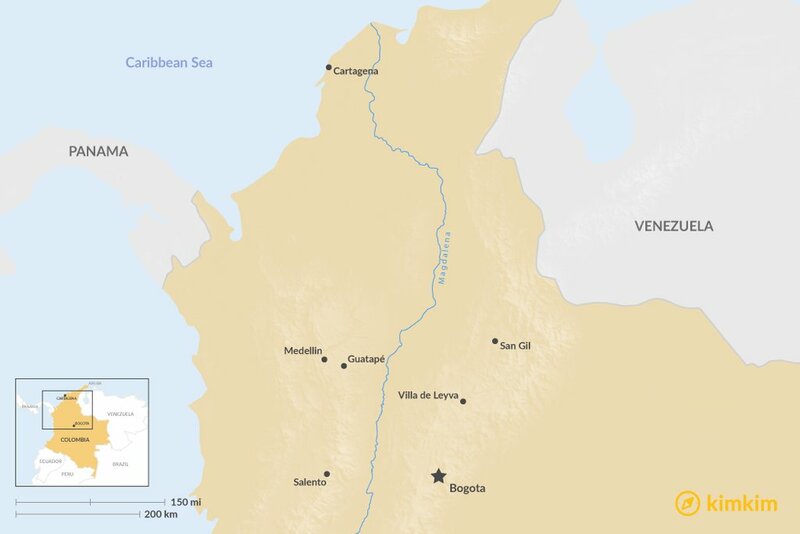 While the security situation in Colombia has improved, travelling in some areas is still risky. If you are planning to tour the country by bike, we recommend going with a guide and a group. Using a spot tracker (which send your GPS location to friends and family) is recommended. Bike theft is common in cities, always lock up your bike and valuables. The streets of Bogotá often features dedicated bike lanes. Some cities, particularly Bogotá, have a good network of bike lanes. As you might expect in a developing country, the rural roads aren't the best for cycling, as highways are narrow and shoulders often non-existent. You may encounter military roadblocks and some scary tunnels. Until you feel comfortable, consider transporting your bike on a bus so you can at least bike in the towns and cities. Most local drivers respect cyclists, but you still need to keep your eyes peeled as a variety of vehicles can share the road and speeding is not uncommon. Stray dogs are common in rural Colombia. Most are friendly, however, a few will go into attack mode when your shiny bike rolls past, so be cautious in any situation. Close to urban areas, you may experience car fumes. The situation is obviously better the further you get from town and cities. If you plan to do a lot of biking, consider bringing an N95 mask to protect your lungs for those trips in traffic. If you are on a cycle tour, finish your day by 4 pm if big mountain roads lie ahead as these can take much longer than expected to cross. There are bike shops in every city. In Bogotá, the best place to buy a bike a collection of shops located on Calle 13 with Carrera 22. Take the TransMilenio F1 bus to Sans Facon station. The shops are near the station and others can be found along this road for a few blocks. 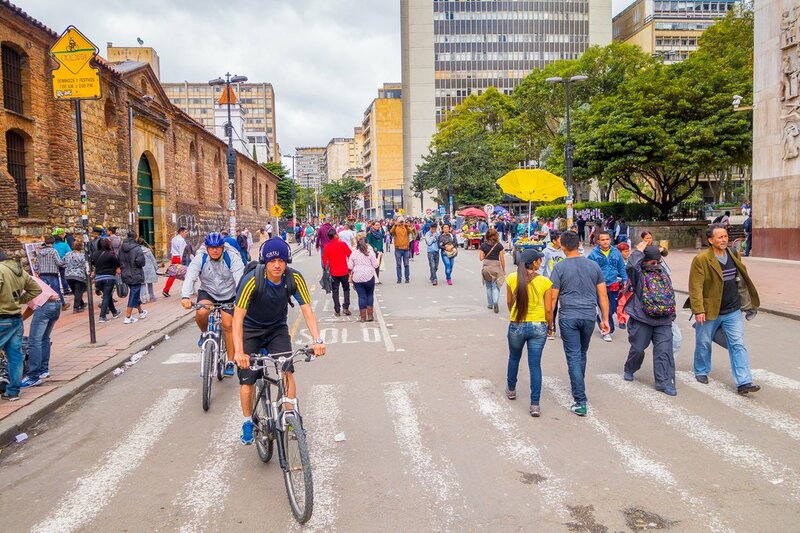 Bogotá's famous Ciclovia blocks off streets to pedestrians and bikers each Sunday. 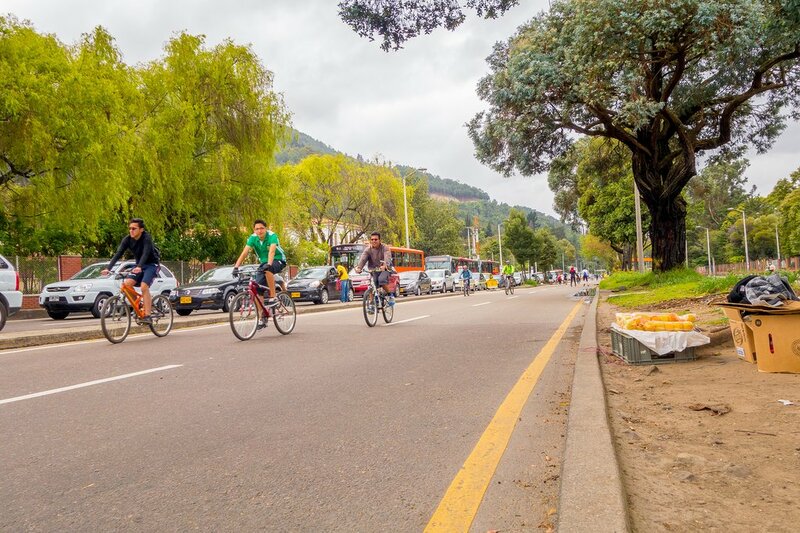 Every Sunday (between 7 am to 2 pm) the city of Bogotá closes down 120 km of streets to vehicular traffic and opens up these roads to bikers, walkers and anyone else traveling on their own power. They’ve been doing it since 1974 and each week more than 1 million people participate. This tradition, called Ciclovia (Cycle Way), includes a bike parade that slowly makes it way around town. Along the route, you may encounter musicians, yoga instructors, and other events. If you are looking for more group bike rides, you could join a trip that leaves on Wednesdays at 7 pm, from Ciclopaseo de los Miercoles. 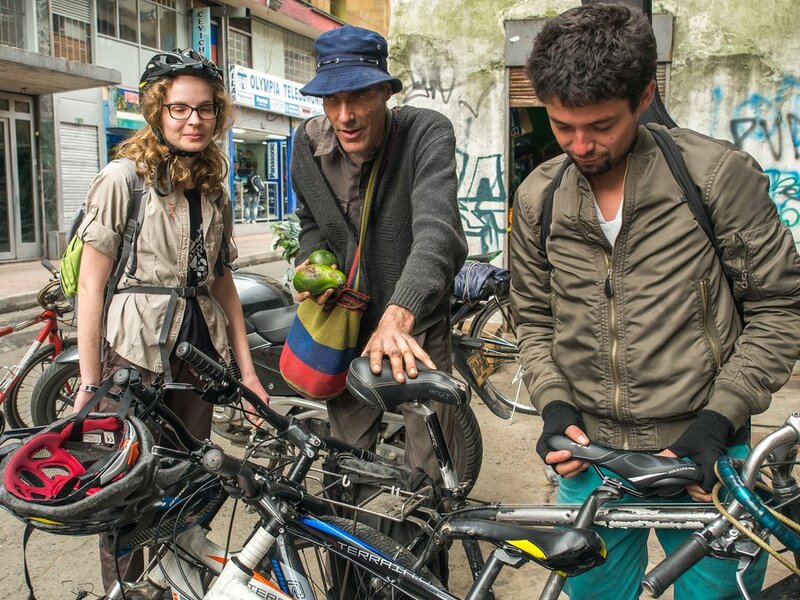 Bike rental places in Bogotá include Bogota Bike rentals and Bogota Bike Tours. There are some excellent mountain biking areas around Bogotá and companies including Colombian Bike Junkies, can organize day trips. This is one of the best regions in the country for cycle touring, due to the excellent climate, rolling hills and close proximity of towns and haciendas. Tour companies offer itineraries that include visits to coffee farms where a fresh cup of Arabica awaits. The biking is particularly good around Salento, where you can rent bikes and book a guided tour. Salento Cycling is a good local operator. This city has a good network of bike paths and bike-friendly culture. You can rent bikes right on the street at the Encicla stations. On Sundays, you can participate in a Ciclovia similar to the one in Bogotá. The route goes from Parque Poblado to Envigado. On Wednesday at 8 pm bikers get together in the neighborhood of Carlos E. Retrepo near Suramericana Metrol Station for a group ride. There’s a big mountain biking scene around Medellín, thanks to the good network of trails near the city. The hilly terrain and great weather also make for good road biking. Colombia Cycling does a good job organizing road bike tours. A popular place to spend the night is Casa de Ciclistas, which caters to travelers crossing the country on a bike. Located 85 km from Medellín, is another popular place for both road biking and mountain biking. Some cyclists will make a weekend trip, staying overnight in Guatapé. Alternatively, tour operators can bring you out this way for a day trip. Tour operators in the town can arrange guided rides to waterfalls, pueblos, old convents, wineries and other points of interest. This is the adventure capital of Colombia and the tour operators around here can lead you on some exciting mountain bike or road bike trips. Colombian Bike Junkies is a San Gil-based tour operator that can take you on a 50 km downhill ride through the Río Suárez canyon. Cartagena is a great place for cycling (just watch out for all the pedestrians roaming the streets). This is Cartagena does a nice day tour by bike. 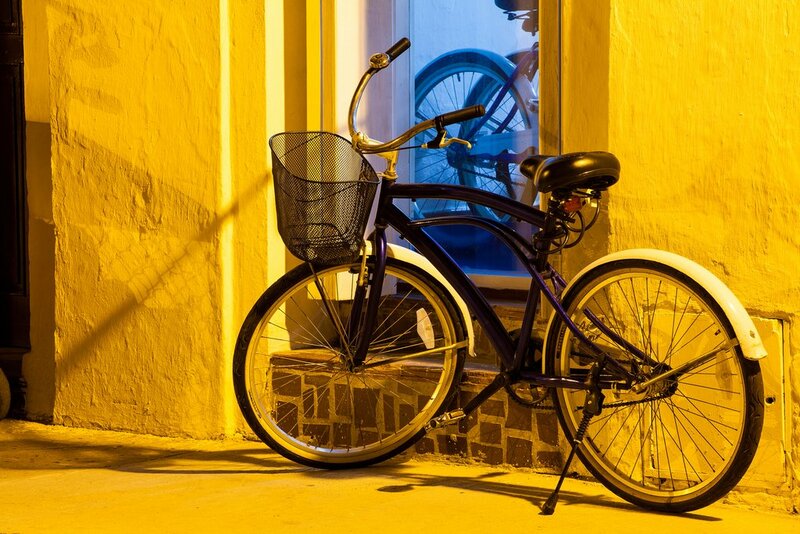 Velo Tours does night bike rides and trips along the coast near Cartagena. Further along the Caribbean coast, there is a great network of mountain biking trails near Minca. Minca Bikes does rentals and tours.